Takeaway: Boost the performance of your garden with the latest products available for modern growers, featuring items from Hydro-Enhance, SANlight, 13Essentials, NovaGreen, and XTRA SUN. These products are all #GoodtoGrow. The P4W is one of SANlight’s main products for greenhouses and professional use, with its maximum efficiency of 3.2 micromoles per joule and a sophisticated lens system for different applications. This market-leading product produces energy savings of up to 50 per cent and has an approximately 80,000-hour lifetime, helping you improve your profitability. It’s maintenance free and waterproof, and has a three-year warranty. SANlight’s technical and theoretical knowledge are some of the main reasons it can assure you its products are the best. 13Essentials is a balanced, nanoscale foliar fertilizer specially designed to increase the overall growth and health of your indoor and outdoor plants. It can be used as a seed germination activator in addition to its primary function as a foliar fertilizing spray. The unique formula contains silica as well as 12 other nutrients to maximize results yielded in soil, hydroponics, and in soilless media. 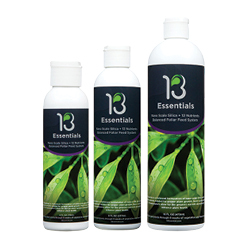 13Essentials is a safe, non-toxic formula derived from naturally occurring minerals. You will see the difference in quality, size, and health of your indoor/outdoor plants in just a couple applications. This new product created from an old proven formula, passed on to our family, is now available to you. Hydro-Enhance is a unique blend of beneficial microbes and a secret all-natural catalyst invented by James Francis Martin, a pioneer in beneficial microbes. There are many products containing microbes, but they don’t have this secret catalyst. 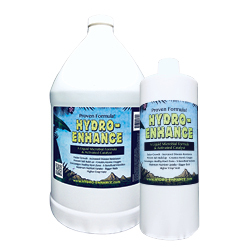 Hydro-Enhance delivers two essential ingredients for maximum growth: microbes and dissolved oxygen. But that’s not all. Hydro-Enhance releases all the energy from whatever kind of nutrients you’re using. It prevents salt build-up, promotes nitrogen breakdown, and ensures complete nutrient uptake. 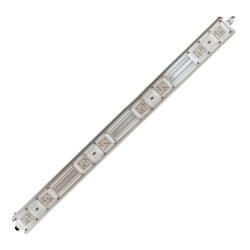 The Xtrasun Ceramic Metal Halide Ballast features low-frequency, square-wave technology designed specifically to run high performance 315W CMh lamps. 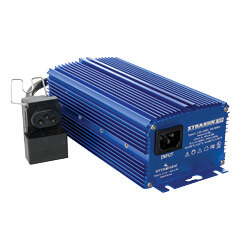 With multi-aspect protection circuitry, internal RF shielding, and versatile 120/208/240V input voltage, the Xtrasun CMh Ballast operates silently and works remotely, up to 30 feet from the reflector. Comes with an eight-foot power cord. Retailers can only order the Xtrasun through Hydrofarm. 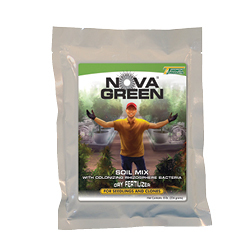 NovaGreen Soil Mix is a unique blend of rich organic materials from humic acid, a natural wetting agent, 17 natural L-amino acids, and porous clay, plus 548 billion beneficial soil rhizobacteria in each pound of material. It can be incorporated into any soil or soilless media to increase organic matter and the cation exchange capacity (CEC). This will improve the general nutrient-holding capacity of the soil, making fertilizers more efficient. In addition, Bacillus subtilis will quickly populate the soilless media and subsequently colonize plant root hairs. The humic, kelp, and L-amino acids provide additional food sources for soil bacteria and plants. The Soil Mix can be used for all type of plants, from initial seeding through sizing up, or applied as a side dressing for outdoor field crops.